This has turned in to the week that will not end. 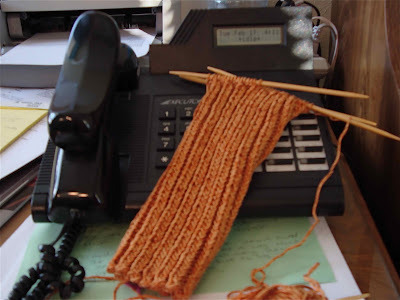 But, since it involves lots and lots of conference calls, my knitting is growing without my being aware of it. Sabine's quilt, on the other hand, will only be done in time for her birthday if magic little elves come in the night to finish it. Anyone have elves to lend out?